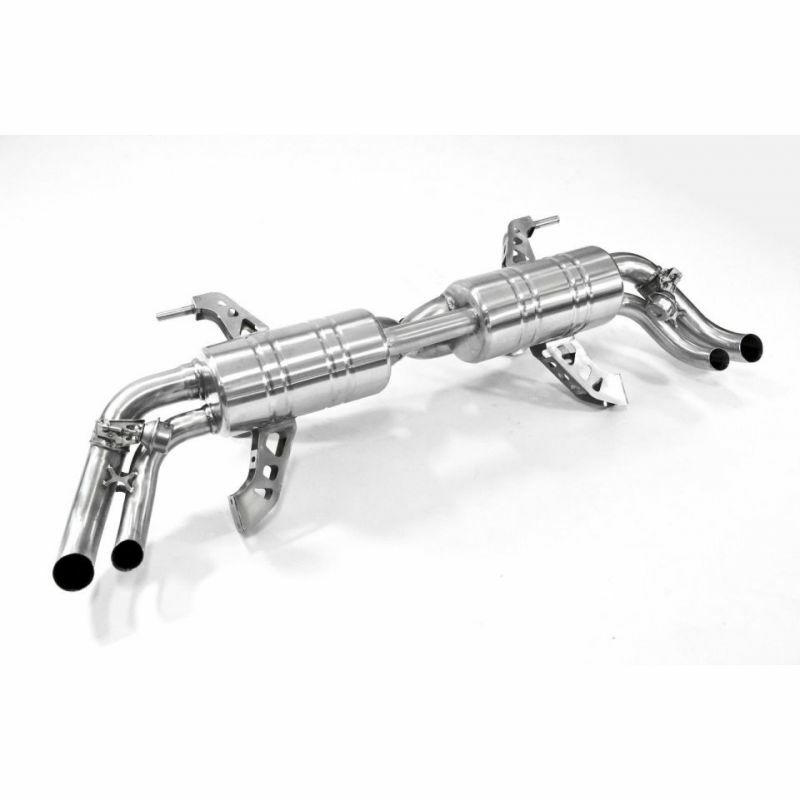 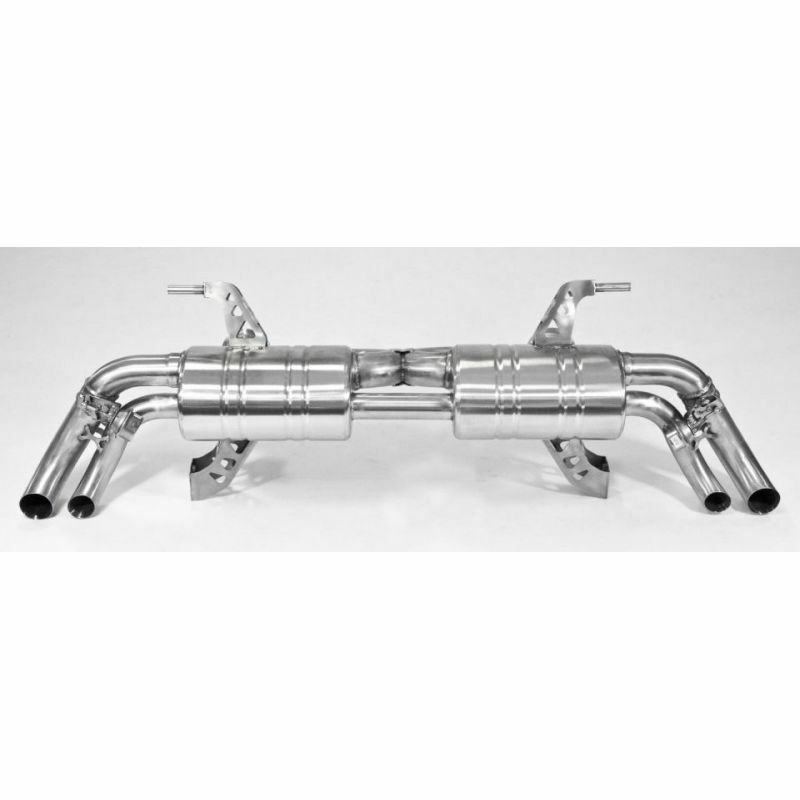 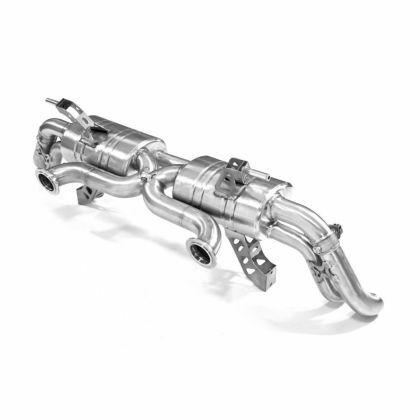 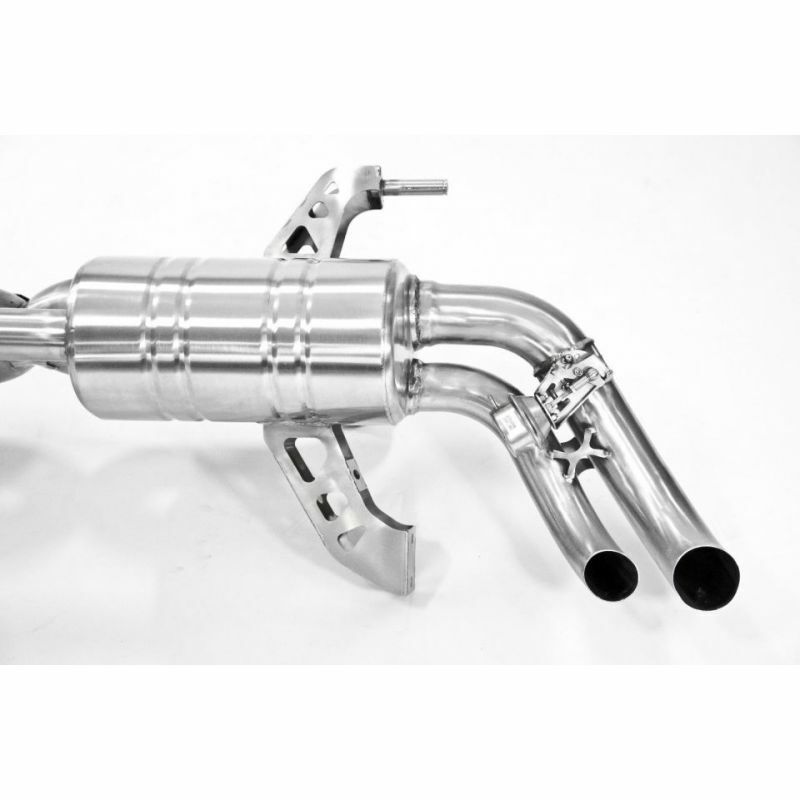 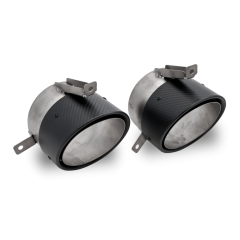 This item is a stainless steel catback exhaust for the Audi R8 V10. We can configure this exhaust to fit the standard (pre-facelift) V10, V10 Facelift (2012+) manual transmission and the V10 facelift (2012+) Tiptronic transmission, please select your variant when ordering. 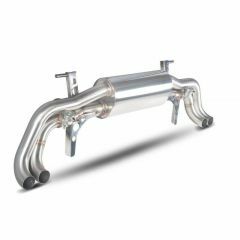 The exhaust has been given a euro style brushed finish and features a special X-Pipe design for better gas-flow and for performance. 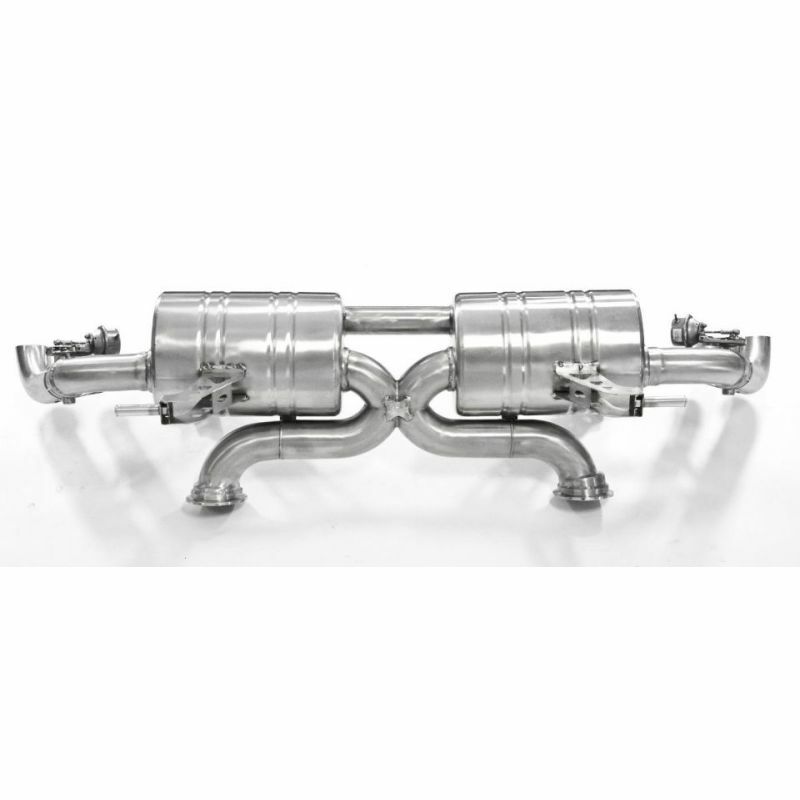 This exhaust is the big brother of our R8 V8 exhaust and is made in much the same manner with the same unique sound. 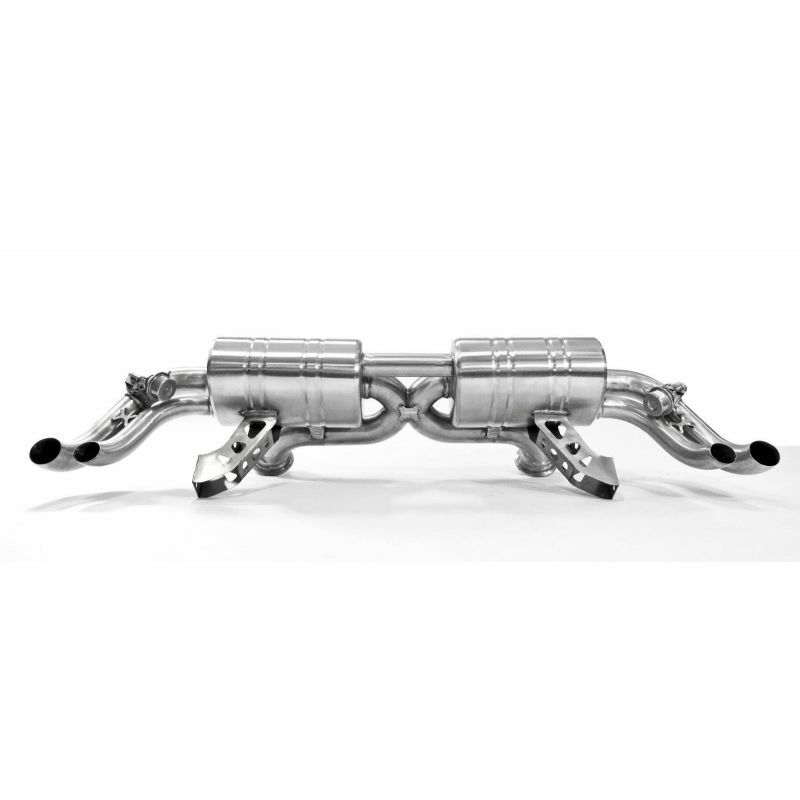 The sound of this exhaust is a fantastic, high pitched F1 style and the system includes valves for quiet lower speed acoustics with fantastic race sound at higher revs. 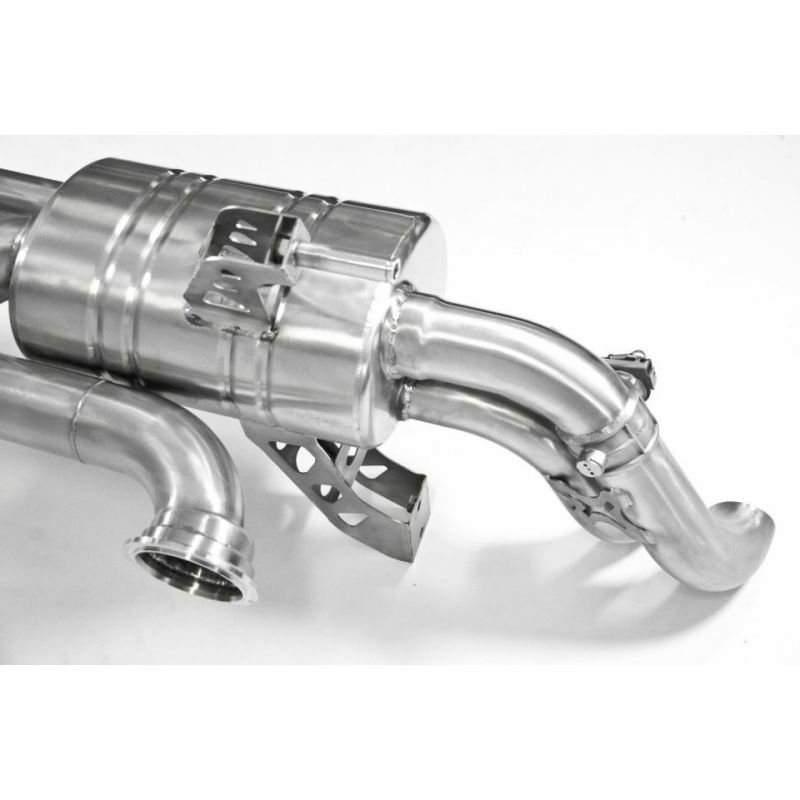 This exhaust has been heavily featured, discussed and credited on the R8Talk.com forum and includes a key fob kit for opening and closing the valves free of charge, although the system can simply be controlled by the OEM valve control system if you wish. 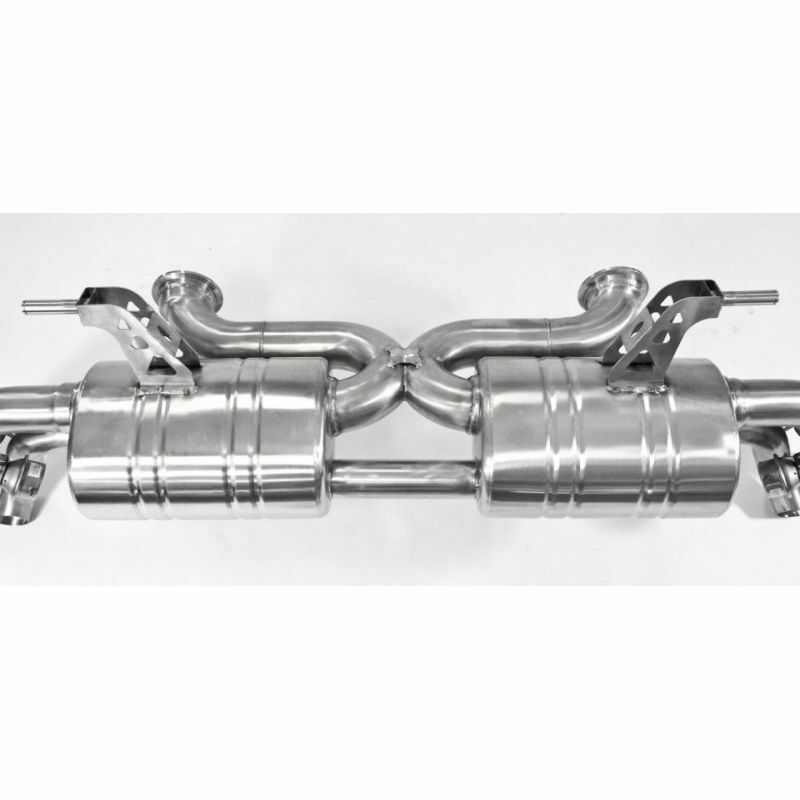 We have received phenomenal feedback on this lightweight (23 KG) sports exhaust. 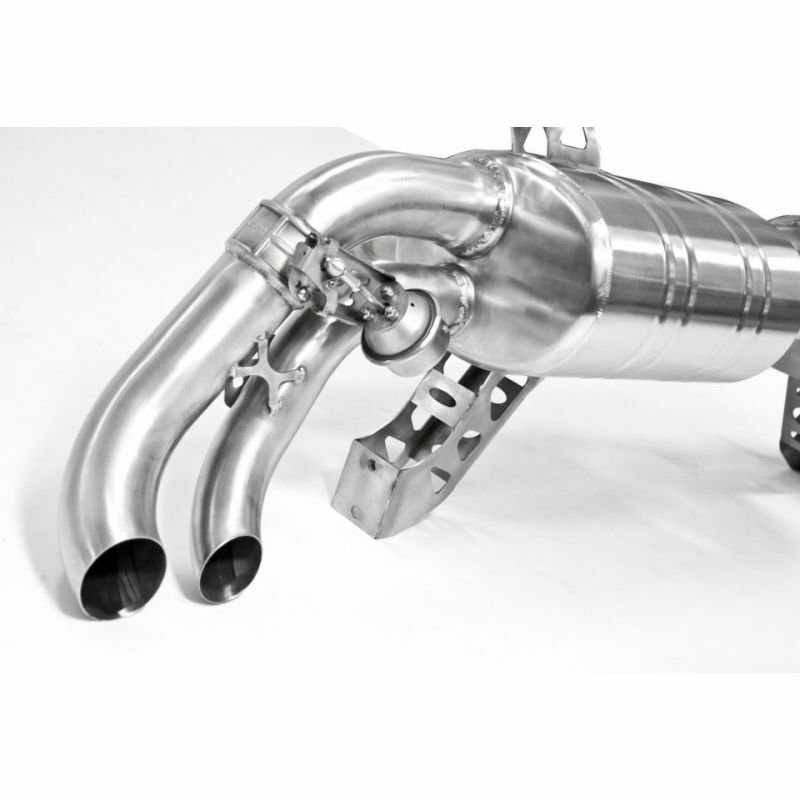 Guaranteed extra BHP, we have provided a dyno sheet from one of our test fitments below. 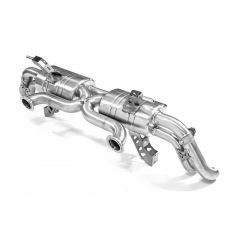 For overseas markets, we can ship this exhaust package with our TGT Flash device, guaranteeing at least 20-25 BHP gains from the remap alone. 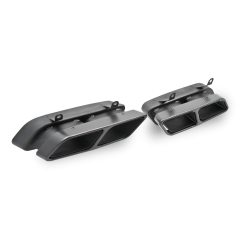 We are keen to secure high quality video clips and pictures of this system in action for our marketing purposes and we are willing to reward this effort from our customers with a £25 partial refund.